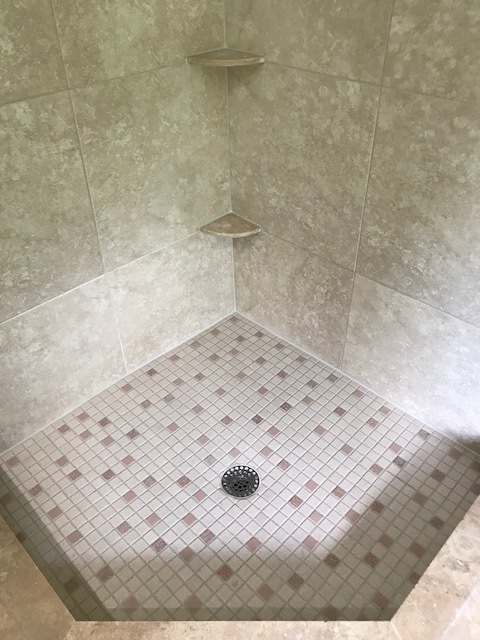 The lines in the floor of this shower were ‘skim-coated’ with a thin layer of grout over the existing. Putting in grout that way is problematic. It took hours to scrape off, clean, and reseal. The final product was worth the extra effort to make it look new again as they’re awaiting the arrival of their new glass enclosure! 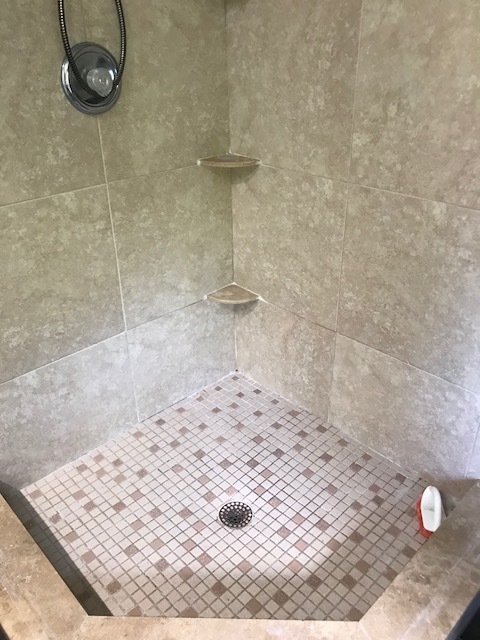 It feels so good for our crew to make a homeowner happy that their shower is like-new again! Floors, Showers, and More...We will turn the tired BEFORE into bathrooms and kitchens just like NEW! Want to make your home feel like new again? Thank you! Our team will be in touch within 24 hours.